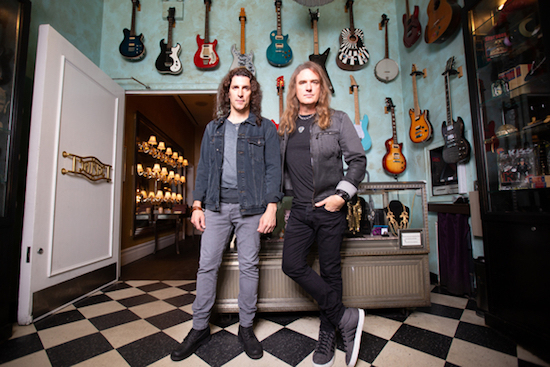 Altitudes & Attitude, a collaboration between Anthrax’s Frank Bello and Megadeth’s David Ellefson—two virtuosic bass players who’ve anchored some of the fiercest thrash records of all time – has confirmed a handful of appearances ahead of their debut album Get it Out (January 18 / Megaforce), including an inaugural US show on January 19th at Saint Vitus in Brooklyn. Additional NYC appearances include an up-close Q&A and performance January 17th as part of the Guitar World Backstory series at the Cutting Room, an in-store signing January 18th at Rough Trade. Los Angeles events include a Q&A on January 22nd with Loudwire at the Musicians Institute, and appearances at NAMM on January 25th, before the band heads to Europe in February. Listen to new songs, Out Here, below and, Late (featuring Ace Frehley), by clicking here.